This entry was posted in TikZ. Bookmark the permalink. 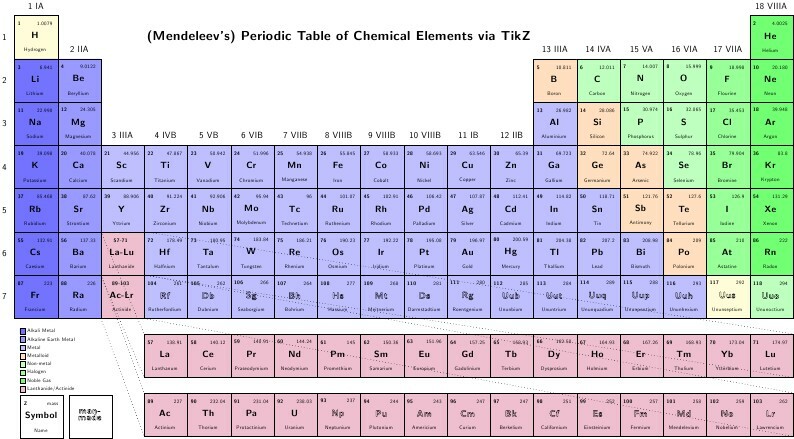 This is really cool as you can easily update the trans-uranium elements as they are discovered. But this was published on the TikZ/PGF example site before.